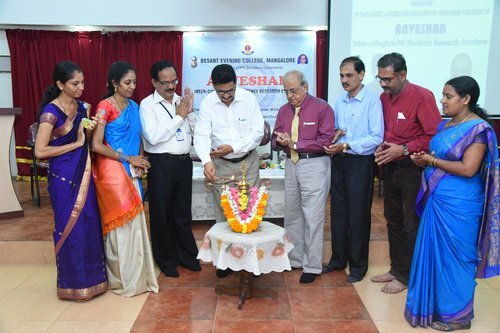 The 21st Blood Donation Camp was organised by Besant Evening College Alumni Association in collaboration with KMC Hispital, Mangalore on 02nd Oct, 2018 during the auspecious occasion of Gandhi Jayanthi. The programme formally inaugurated by lighting the lamp and offering the petals to Mahatma Gandhiji's portrait. 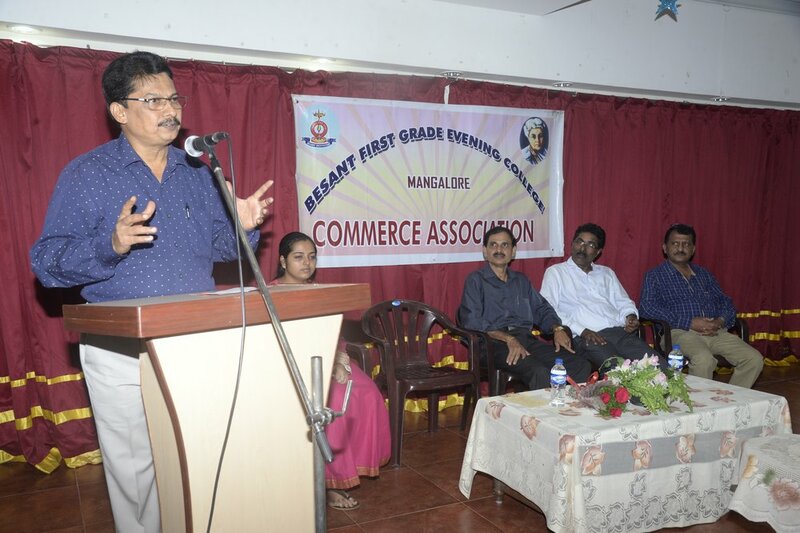 Sri Kudpi Jagadish Shenoy, the president of Women's National Education Society presided over the function. 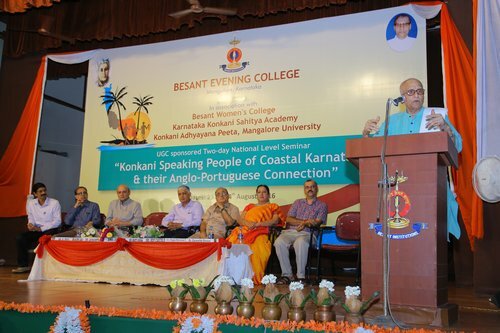 Nagar Narayan Shenoy, the correspondent of Besant Evening College was the guest of honour. 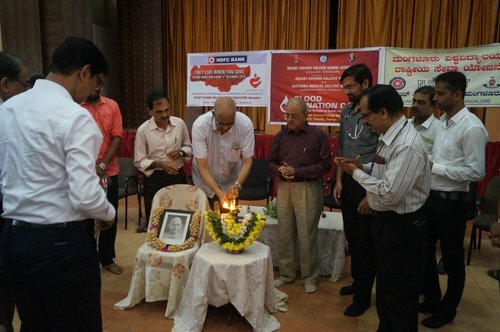 More than 600 old students participated and 78 participants donated the blood. Many young persons belonging to economically backward families are forced to discontinue studies in order to earn a livelihood. For such persons, the evening college is a convenient option to acquire a college degree and enhance their career prospects. A co-educational institution, the college presently has 400 students on its rolls. 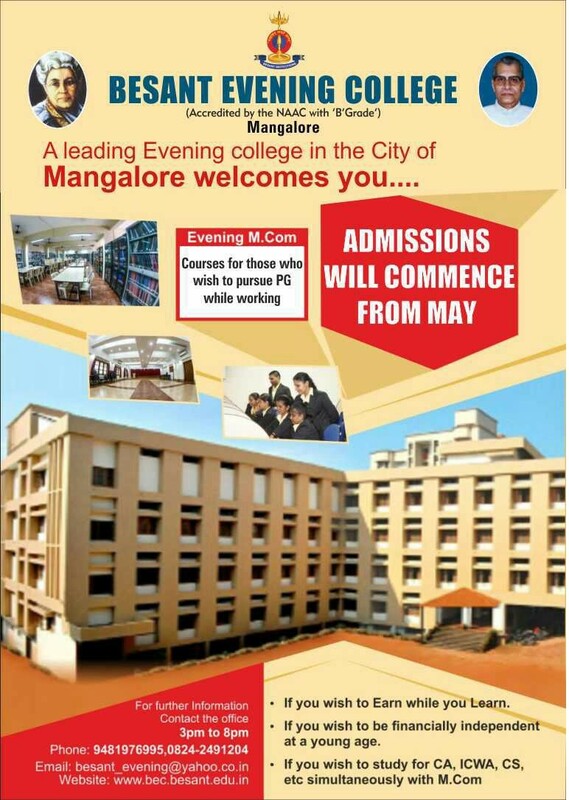 It is affiliated to Mangalore University and offers graduate programmes in Arts and Commerce streams leading to award of B.A and B.Com degree respectively. 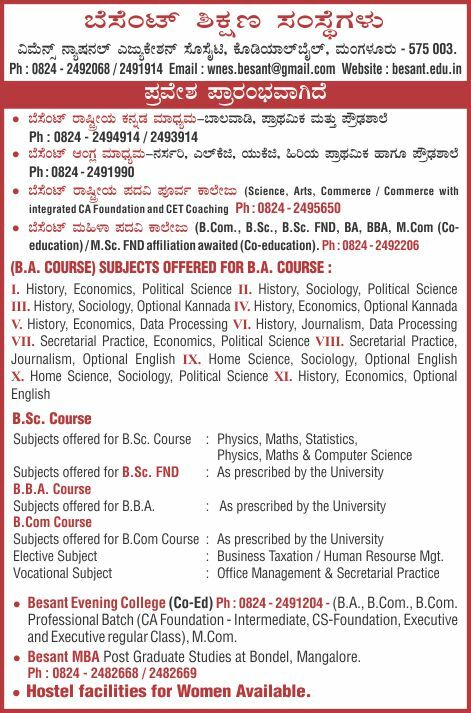 M. Com post graduate programme is also available. 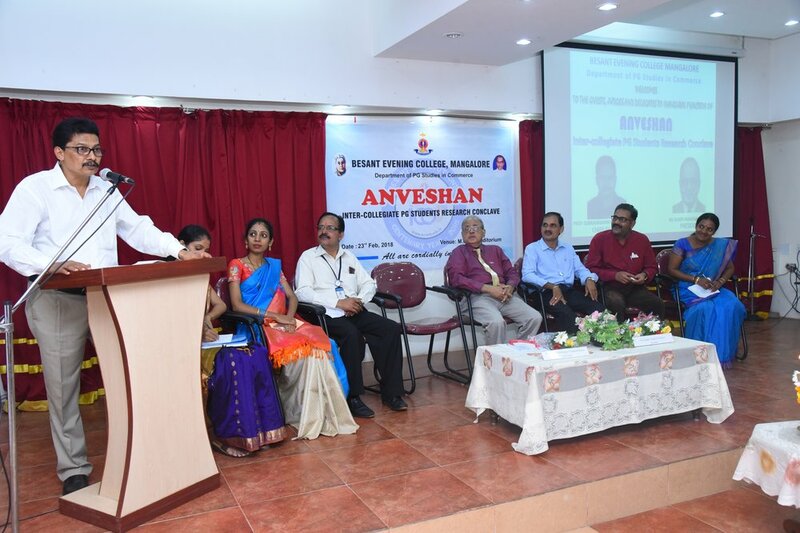 The college also attracts a large number of students who pursue professional courses such as CA, CS, ICWAI, Computer diploma and certificate courses due to the advantage of the support and guidance of highly qualified, dedicated and outstanding teachers. 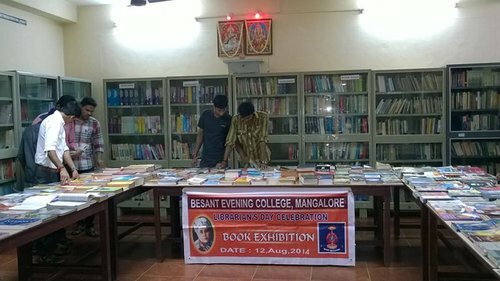 Besant Evening College is a grant-in-aid college, recognized by the UGC under the 2(f) and 12B of UGC Act of 1956. 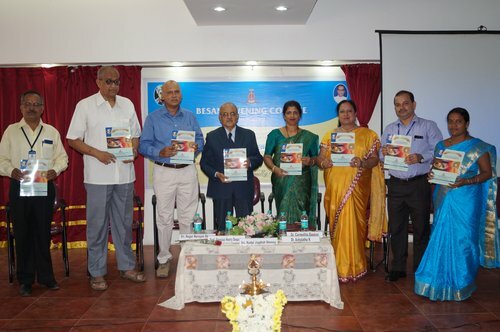 The college successfully completed its second cycle of accreditation by the National Assessment and Accreditation Council (NAAC) in the month of July, 2015 and was awarded ‘B’ grade. 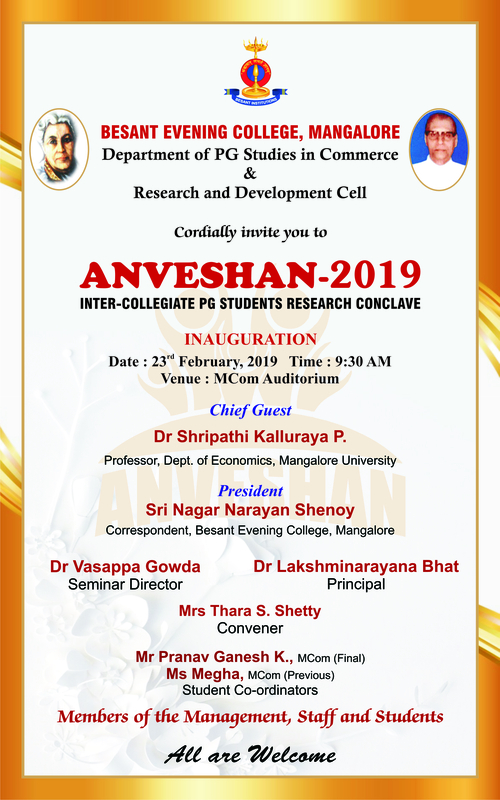 Workshop on "Empowering Scholars for an Effective Research Design"
ANVESHAN- Intercollegiate PG Students Research Conclave inaugurated on 23 Feb, 2018. 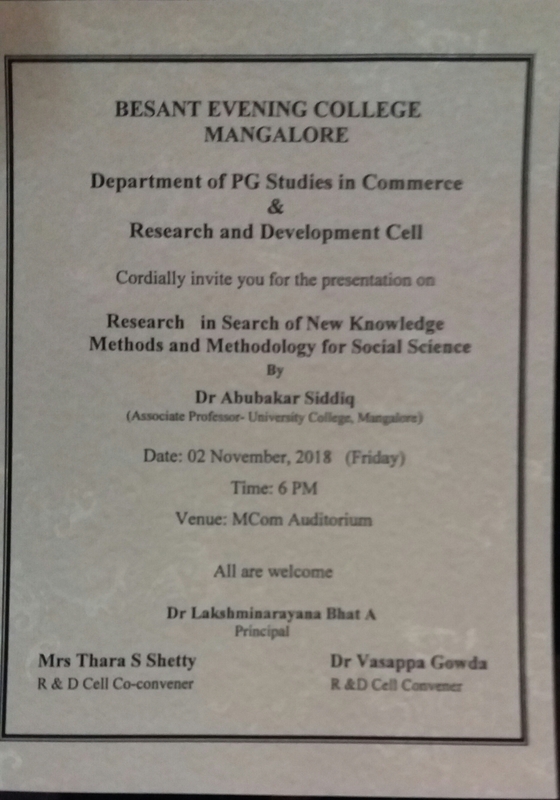 Prof. P S Yadapadithaya of Mangalore University was the Key Note speaker. Sri Kudpi Jadadish Shenoy priside over the function. 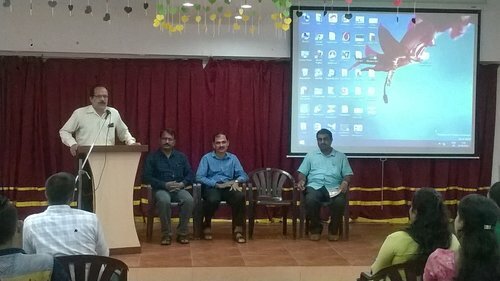 Principal Dr lakshminarayan Bhat Welcomed the gathering. 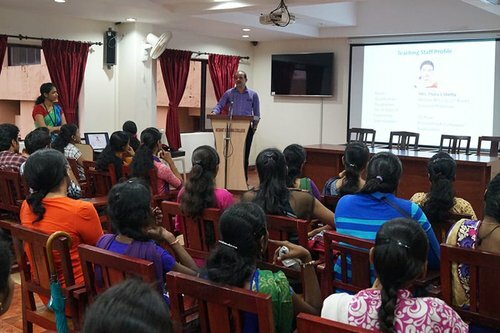 Dr Vasappa Gowda, Seminar Director gave a brief note about the seminar. 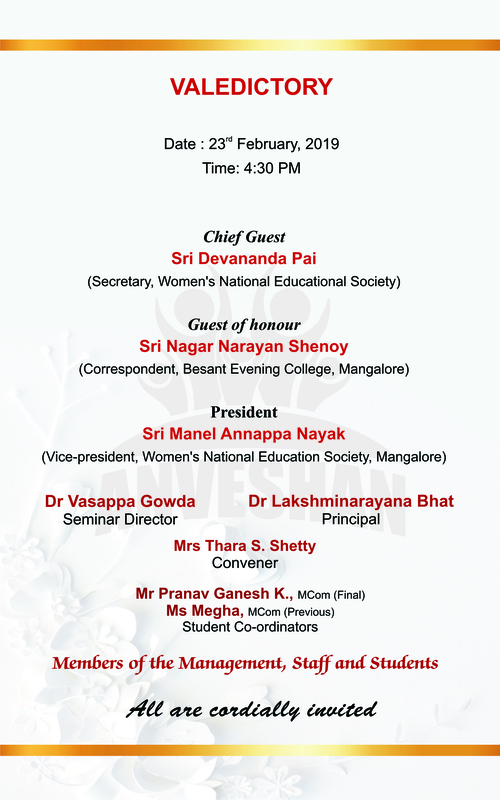 Mrs Thara Shetty, seminar convener and Mrs Sathvika Shetty, seminar co-convener were on the dais. Student leader, Mr Srinidhi compered the programme. © 2016 Besant Evening college. All Rights Reserved.